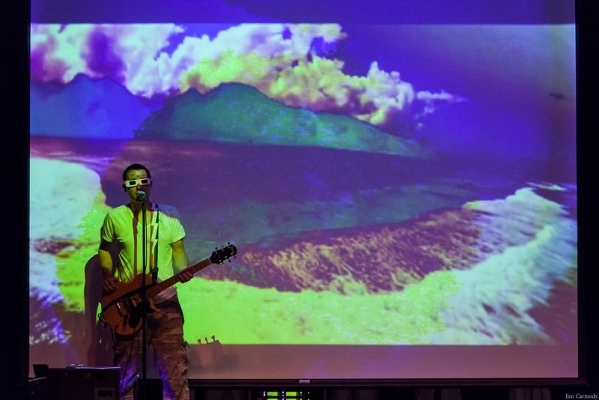 An apocalyptic surf-rock musical in stereoscopic cyclorama. The bombs have dropped—leaving teens to fall in love, defy an authoritarian death cult, and doomsurf on the cashed ocean where wiping out means permanently. The story follows the unarticulated but desperate love between Bunny (as in beach) and Idiot Kid (marked by an acid-related, Phantom of the Opera-like deformity). Johnny Holocaust surfs into the village with the message that a tidal wave is approaching—necessitating escape or final destruction.